One of the things new owners worry about is situations where they may have to park the Model S for days somewhere where no charger is available and what that may do to their battery. I wanted to share my thoughts and experience with that in this post. 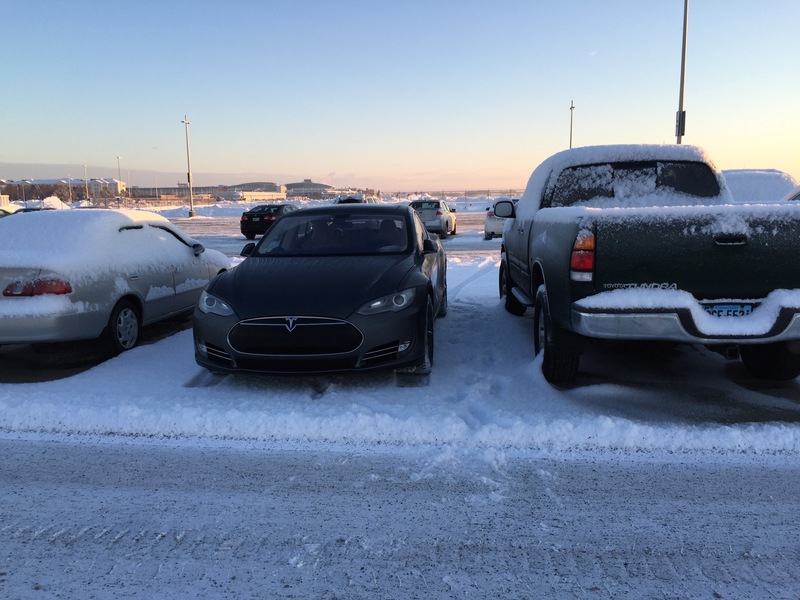 My first mission in any parking lot is to find a “Tesla approved” parking spot. That’s a spot that the largish Model S fits and also minimizes the chance that someone nearby will ding the doors if they’re careless. In strip malls if I can find a curb on one side its a bonus — I get close to the curb (without scraping it!) to maximize the distance to the next space and minimize ding chances. At the airport I avoid the busy short term parking garages which are tight for the Model S and head for the long term economy lot. There I look for a suitable spot between two cars that are already there. There are good odds that i’ll come and go before others in the long term lot. Some lots also rotate where people park so there’s another chance that if the current cars leave no new ones will arrive. Even when you’re not using the Model S the battery will still discharge as it continues to power some minimal onboard gear (like checking for those important software updates!). While Tesla has made great improvements in this area there is still some loss when the car is not in use. For my test later in this post the experience was with this energy saving mode enabled. Even when Model S is not being driven, its Battery discharges very slowly to power the onboard electronics. On average, the Battery discharges at a rate of 1% per day. Situations can arise in which you must leave Model S unplugged for an extended period of time (for example, at an airport when traveling). In these situations, keep the 1% in mind to ensure that you leave the Battery with a sufficient charge level. For example, over a two week period (14 days), the Battery discharges by approximately 14%. Tesla says you may lose 1% rated range per day when parked. As usual, Tesla’s math around range is often optimistic and not necessarily what you will see in the real world. At the end of February I had a short business trip to Las Vegas where I left my Model S in the long term lot for a couple days. It was 11 degrees fahrenheit out when I parked and I had 186 miles of rated range left (71%). 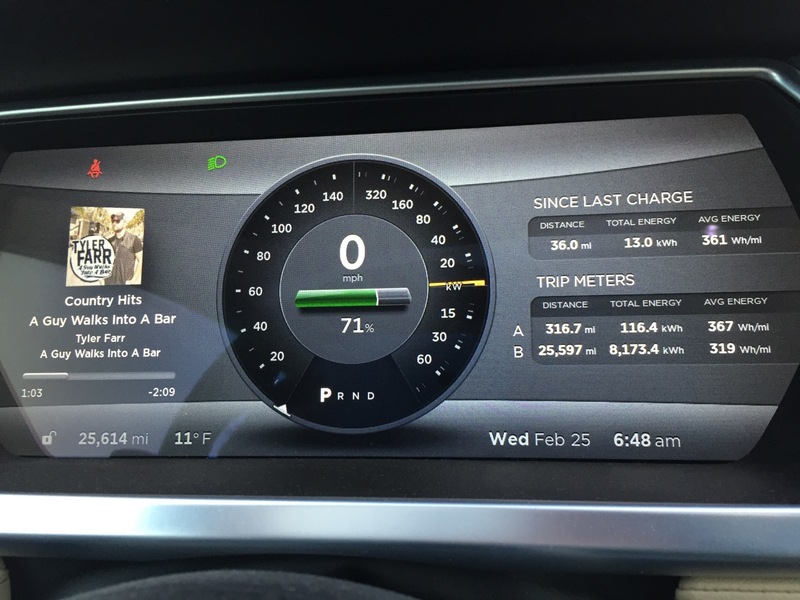 When I returned my Model S reported 172 miles of rated range left (65%). I lost 14 rated miles over the 2.6 days at an average temperature of 16 degrees fahrenheit. So I lost an average of 2.3% rated range per day which is quite a bit higher than the manual indicates. I lost 2.3% rated range per day when parked in the winter. Parking the Model S without power requires some thought to make sure you’ll have plenty of range left when you return to get to your next charge location. While Tesla suggests a 1% loss per day, you may want to consider a more conservative 3% number to ensure you have plenty of range left. 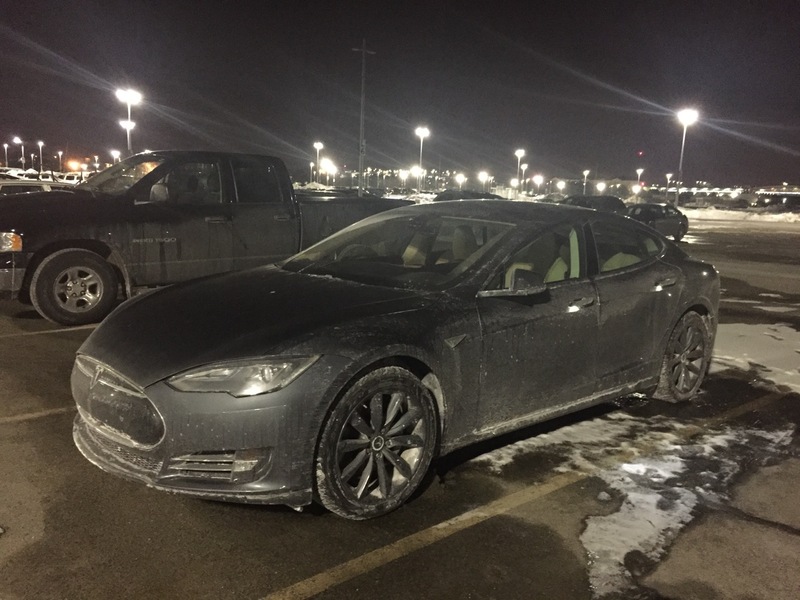 There are reports of owners that parked at the airport with low charges intending to charge back up at a nearby charger when they returned only to find that when they got back to their car the the battery was drained. Teslarati also previously reported an experience parking for 27 days at an airport with no charger and that test showed less than 1% loss per day which was a much better experience than I had. The video showed a temperature of 8 degrees celsius, or about 46 degrees fahrenheit which is much warmer than it was for my test and that may account for the difference. With the ample range of the Model S you can park for long periods and still have plenty of range left to get home, just make sure you account for the extra range you will lose while parked and the range you need to have left to get home at the end of your trip. If you're interesting in purchasing a new Tesla before July 15, 2018 you can get unlimited supercharging by using this link: http://ts.la/rob6663. Note that the link will open the Tesla Design Studio and the discount will be applied. Using the referral helps to support this site.